Mr. Wilson’s practice involves all aspects of labor and employment law, including litigation before the federal and state courts and administrative agencies. He has represented employers in wage-and-hour class actions and other complex employment matters involving employment discrimination claims, wrongful discharge and retaliation claims, and trade secrets and employee raiding cases. Among the clients for whom Mr. Wilson has tried cases are Lockheed, the Pebble Beach Corporation, General Motors, Xerox, and ActivCard. For several years, Mr. Wilson has been recognized as one of “Silicon Valley’s top employment law attorneys” (by San Jose Magazine since 2001) and as a “Super Lawyer” in the field of Labor and Employment Law (by San Francisco Magazinesince 2004). Mr. Wilson also has been selected by his peers for inclusion in theBest Lawyers in America (since 2007) in two categories: Labor (Management) and Litigation (Labor). 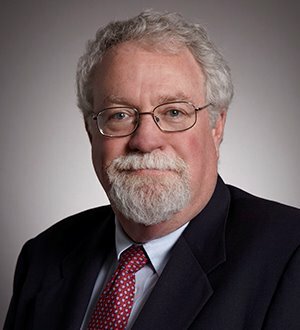 During his tenure with the firm, Mr. Wilson has authored and co authored more than a dozen articles in publications such as the Employment Law Journal, theUniversity of Michigan Journal of Law Reform, the Stanford Law Review, theNational Law Journal, the ALI ABA Course Materials Journal, the Practicing Law Institute, and the Stanford Lawyer. A frequent speaker on employment law topics, Mr. Wilson has appeared on National Public Radio and given presentations before groups as diverse as the American Electronics Association, the Computer and Internet Law Section of the Oregon State Bar Association, the Chrysler Management Training Seminars, and the Employment Litigation Section of the California Trial Lawyers Association. Mr. Wilson is a member of the Labor and Employment Law and Litigation Sections of the American Bar Association. Since 1987, he has served as judge pro tem in the Superior Court of Santa Clara County. Mr. Wilson holds a B.A. from Stanford University (Phi Beta Kappa, 1972), an M.A. from the University of California, Davis (1976), and a J.D. from Stanford Law School (1976). He also served as a law clerk to Chief Judge Edward J. Schwartz, United States District Court, Southern District of California. Mr. Wilson joined Morrison & Foerster in 1977 and became a partner in 1982. He was the managing partner of the firm’s Palo Alto office from 1991 until 1994.